This is the third and final adventure for Joanna Stafford, former novice to the Dominican priory. I have so enjoyed Joanna's journey, and the historical setting that the author has created from the real history, and I think this is a wonderful conclusion to the trilogy. 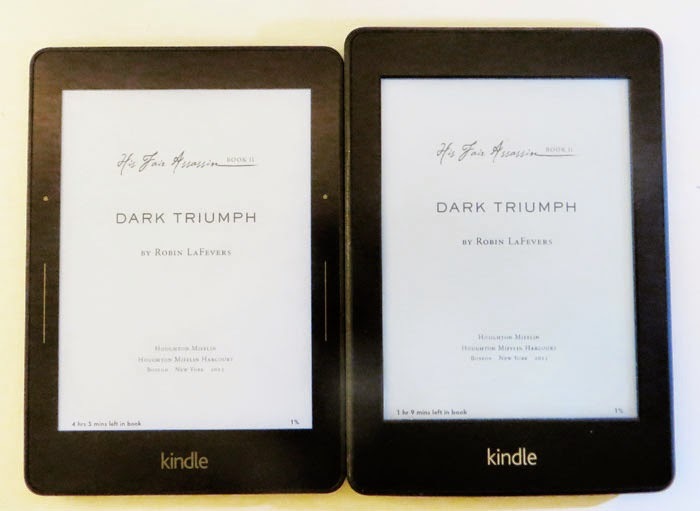 As this series has progressed, the focus has changed from a historical mystery for the main character Joanna to solve, to a mystery now more focused on Joanna. However, the mystery in this novel is less hair-raising compared to the dangers of living in the court of King Henry VIII. The author has created a perfectly chilling portrait of King Henry as a spoiled despot with a touch of vulnerability - especially when he is surrounded by so many ambitious men. 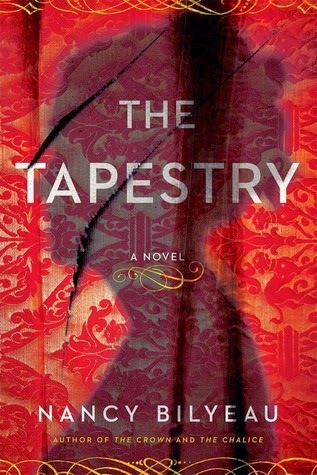 This novel posed somewhat as a history lesson as many of the people featured were people who lived at that time and the author weaves Joanna's story perfectly around them. I was glad that I wasn't as familiar with the history, as I wasn't sure what would happen to some of the characters so there was a lot of suspense for me. In this series, Joanna is faced with some great challenges - in the beginning it was adjusting to the loss of her priory and her plans for her life, and in this book, I felt one of the major challenges was dealing with the loss of Edmund who she had planned to marry until King Henry made it impossible. 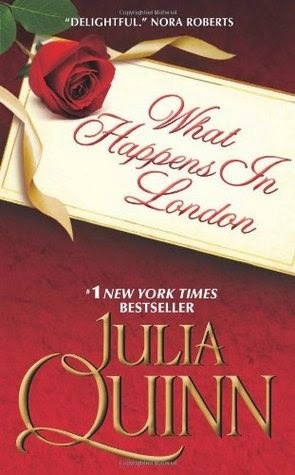 The romance in this book is very understated - mostly because Joanna finds it difficult to deal with her own feelings about men. Even though it's not a big part of this book, I was very invested in that aspect, especially as there is a bit of a twist towards the end and things did not go the way I was expecting. But to get the true impact of that, it's important to read the first two books to understand the characters and their actions. I found this a very satisfying, and thrilling conclusion to Joanna's story. There's a lot of drama, suspense and twists and turns, and Joanna is the very epitome of a graceful, intelligent heroine. This whole series was a joy to read, and I'm glad Joanna received a fitting and touching finale. 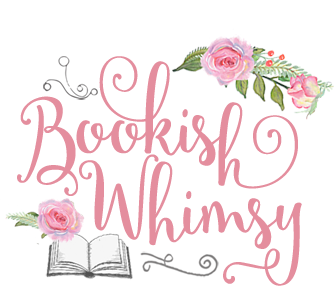 The fact that adults also love to read young adult literature has been a big topic recently among bloggers and readers, usually fueled by weird people who feel the need to judge others for what they like to read. But I was actually surprised to see just how long this topic has been discussed. I work at a university and occasionally will look at research papers, and though I'm in science, I'll sometimes just look up papers related to literature for the fun of it. And I happened to come across two articles from the 1980s that talked about the young adult novel. After reading through them, it was interesting to see what the perspective was on YA lit just about 30 years ago, and I wanted to thoughtfully explore how our attitudes towards YA has either changed or remained the same in the intervening years. 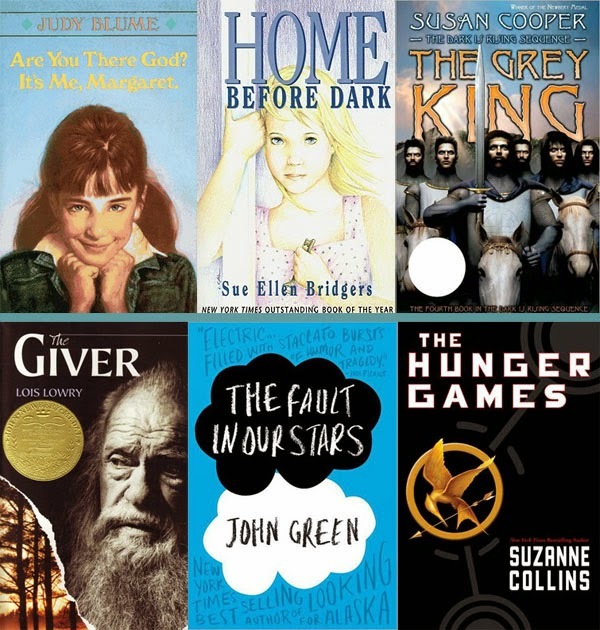 And also to take a look at how the YA genre has changed. Johnny has been living it up in New York City and owes quite a bit of money for his gambling. He has to come up with the money so he calls his Aunt to convince her to send him more money for his "piano training" which is why he was in NYC in the first place. His Aunt wants him to come home though because she's lonely, and after investing so much money in Johnny's training she wants to hear him play. Johnny's only recourse is to get his girlfriend to come with him and play in his stead since she's a much better player and his Aunt won't be able to tell the difference. Because she's blind. Well this story went in a direction I was completely not expecting. It was clear that the whole plan Johnny came up with to get away with tricking his Aunt would not work, but just how the plan was foiled was the suspenseful part. I don't want to reveal it of course, but there is a nice ironic twist to the whole thing, as well as a surprising aspect to why Johnny's Aunt wanted him back home with her. This was a very good episode! In Movie Musical Challenge, I'm watching all 25 picks for AFI's Greatest musicals starting from the bottom. Number 19 is the 1949 film On The Town starring Gene Kelly and Frank Sinatra. Yay, the first (and definitely not the last) Gene Kelly film on this list! I watched this film a few years ago when I was on my Gene Kelly binge, and I know this is a very highly regarded movie musical, but of the Kelly/Sinatra collaborations my favorite is Anchors Aweigh - unfortunately not on AFI's list. Watching On The Town again though, I think it's interesting to see the influences of Gene Kelly (and probably also of the director Stanley Donen) in the fact that this is filmed on location in New York City (which was a big deal at the time) and the extensive fantasy dance sequence in the middle which seems like a hallmark of a Gene Kelly film. It elevates this musical since the plot is a little light. This whole musical is a big show of exuberance and joy - one day of shore leave for the three sailors means one day for them to get in as much fun (and a girl for each) as they can before they have to return to their ship. The story is light and farcical, as the characters go from one part of NYC to another. It's not a musical that I completely love - it's a little too fluffy and silly for me, but the characters make it very enjoyable, as do the memorable musical sequences. The second book in the His Fair Assassin trilogy centers around the darker character Sybella, who was very compelling from what I saw of her in the first book - "Grave Mercy". And in this book she is even more so. Her family and the background she comes from is amazingly disturbing - just all kinds of awful - and she is damaged quite a bit from her history, although it's not evident just how much at first. Peeling back the layers on Sybella's history was a suspenseful aspect of this story, and showed just how strong a character she was to be able to come out of that experience with some integrity and decency. Sybella was a big reason why I loved this book. The first part of the story details how Sybella deals with living as a secret traitor in her father's house, and of the intrigues she must dodge as she tries to fulfill her mission. This part of the story was so captivating to me, because of how tense and suspenseful it was to see Sybella flirt with danger. And interesting to see just how vulnerable she was on the inside, when she always presented such a fierce exterior. And then there's the romance that made me swoon. Sybella is flinty, yet there is one character who sees beyond that and loves every part of her. Just gorgeous. The romance was a bit unconventional too which I loved. It's an unexpected lighter aspect, given how grim the story is for the most part. But it's important because Sybella has had such a difficult past, and she needed someone to help her leave all that behind. 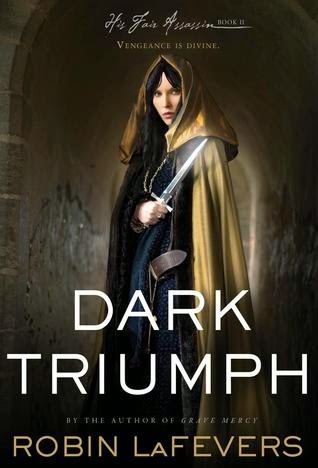 "Dark Triumph" continues the political intrigue from the first book, but this story is more focused on Sybella's character development which I personally enjoyed more since there is a great balance between relationships and the politics of the land. It made for a much more relatable story too since it was so easy to understand Sybella's motivations in such a difficult time for her land. The larger historical context felt very realistic as well, which added another layer to the narrative. This was a captivating read with suspense and a wonderful slow burn romance! Soudha from Of Stacks and Cups created this fun book tag that centers around Disney Princesses, and I couldn't resist joining in with matching some books to the different Princesses! Please visit Soudha's post for her answers, and feel free to do this tag if you are so inclined! I think though that if I had to pick one Princess to be, I would pick Belle - she's so smart and bookish, and the Beast is ultimately a sweetheart. Easiest category for me on this list! 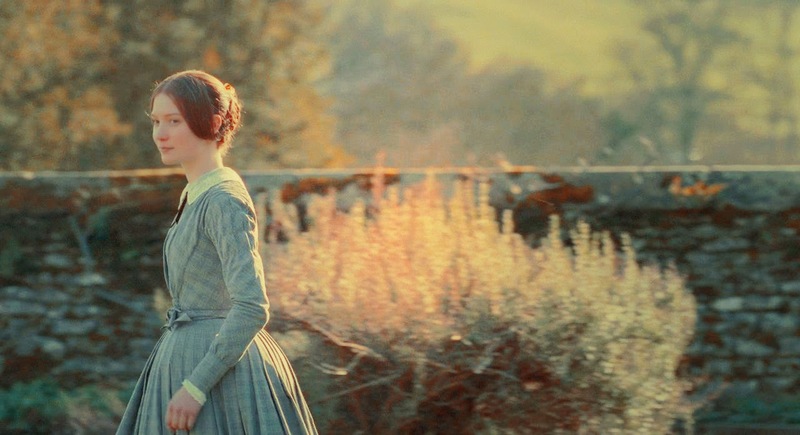 Of course I had to pick Jane Eyre! My absolute favorite book, with a strong, admirable heroine, a gorgeous romance and some mystery and heartache. "A Shipment of Mute Fate"
Chris needs to transport an extremely dangerous snake and books passage on a ship to America. The Captain knows how dangerous and deadly this snake is, and is very reluctant to accept, but they double the enclosure and hope there won't be a big storm to jostle the ship. There's a big storm. The box gets broken through, and by the time Chris goes to check on the snake, the snake is gone and now at large. A snake on the loose is a pretty scary story to me! And of course I knew it was going to happen as I was listening to this. It is a bit unfair though of the show to make this snake out to be capable of deliberately plotting people's death. The anthropomorphism is pretty ridiculous. But it is fortunate that for a creepy premise, there's a rather nice resolution that involves a feisty cat. 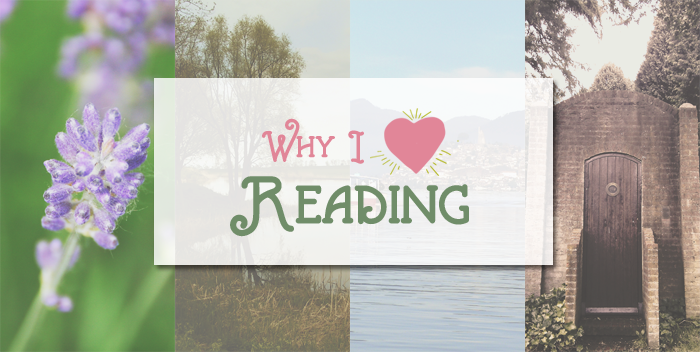 Romi at Where the Writer Comes to Write posted last week about how reading made her feel. It was part of her new feature encouraging bloggers to share more personal thoughts and experiences on the given topic, and I was struck by how hard it was for me to keep my answer from getting too long. So with Romi's permission (and I hope she really doesn't mind!) I wanted to talk more in depth about it for this post. It's something I almost take for granted now since I've been a reader for so long. If someone asks me why I like to read, I say things about escapism, interesting stories - I just enjoy it. But I have to wonder why I'm more into reading than I am into films or TV shows for example. (I am really into those things too though.) How are they different for me since they can still provide that escape and interesting stories. Ultimately, I think it comes down to the fact that reading is a much more personal experience. Inspired by this FlavorWire article highlighting one-liners and disses from "Pride and Prejudice", I wanted to feature some of the lines that I find pretty hilarious from "Jane Eyre". Jane is so sassy to me, and I love that she can say some really unexpected things behind her solid, practical exterior. The novel has this heavier connotation of Gothic melodrama but it's not all brooding and wives locked up in the attic! “Missis was, she dared say, glad enough to get rid of such a tiresome, ill-conditioned child, who always looked as if she were watching everybody, and scheming plots underhand.” Abbot, I think, gave me credit for being a sort of infantine Guy Fawkes. I perceived I had got in hand a nauseous mess; burnt porridge is almost as bad as rotten potatoes; famine itself soon sickens over it. The spoons were moved slowly: I saw each girl taste her food and try to swallow it; but in most cases the effort was soon relinquished. Breakfast was over, and none had breakfasted. Thanks being returned for what we had not got, and a second hymn chanted, the refectory was evacuated for the schoolroom. When Olivia Bevelstoke is told that her new neighbor may have killed his fiancee, she doesn't believe it for a second, but, still, how can she help spying on him, just to be sure? So she stakes out a spot near her bedroom window, cleverly concealed by curtains, watches, and waits ... and discovers a most intriguing man, who is definitely up to something. "A Coffin for Mr. Cash"
Pete's old prison cell buddy, Al, visits him one night at the funeral home where Pete works. He manages to convince Pete to help him steal a lot of money from a gang. It's very risky but Al has a great idea to use a hearse as a getaway vehicle because no cop would ever stop a hearse. Pete really doesn't want to be a part of this, but when something goes wrong and Al dies, Pete has to make the decision of whether or not to continue with the robbery. This story has two very satisfying twists I think. Because both Pete and Al get what they deserve. The irony of the twist was what was so satisfying and not the suspense of it because it is a bit predictable how things will end up given this involves a coffin and a crematorium. The surprising part was that Al is so quickly taken out of the picture. The story would seem to set up how Al and Pete get caught, but this story really centers on Pete. In Movie Musical Challenge, I'm watching all 25 picks for AFI's Greatest musicals starting from the bottom. 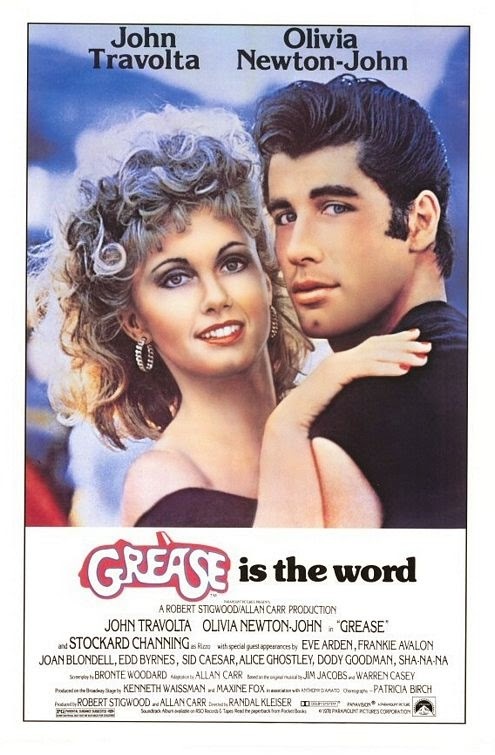 Number 20 is the 1978 film Grease starring John Travolta and Olivia Newton-John. So for today's post, Grease is the word! I've seen parts of this musical in the past and I'm mostly familiar with the songs, but I've never really gotten into it before so I'm happy I can finally say I've seen it. It's a fun movie too, I think I would have really loved it when I was younger because the songs are so catchy and the heightened reality/cheesiness of some of the sequences would have appealed to me more back then. Still I think this is a very enjoyable musical - very energetic and irreverent and the two leads are so endearing. This musical has a great soundtrack, with the two songs written specifically for the film (Hopelessly Devoted and You're the One That I Want) being such highlights. For these Movie Musical posts I like to highlight a favorite sequence which usually includes my favorite song, but I was torn on this one, because definitely my favorite song from Grease is 'Beauty School Dropout' but 'Greased Lightning' was my favorite sequence from the film. It was such a cool scene - I loved that they transitioned to a fantasy setting in the middle. I do think the music sequences in general in this movie are more appealing than the scenes - there were some minorly awkward transitions from acting to singing and back out I thought. 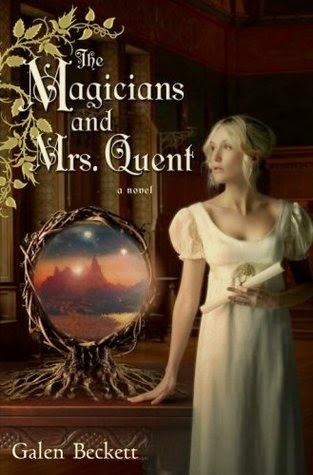 This was a very interesting read for me because the beginning of the book was so slow, and sets up these characters that I felt very little connection to (except for book-loving Ivy). I would have liked this book better I think if it was all from Ivy's perspective, as it does switch in the middle to her first person POV. It was a strange way to set up the story I thought, but with all the awkward set-up, this story does blossom after about 100 pages, and becomes a very fascinating examination of character with an ominous Gothic atmosphere. I almost felt like the first third of the book was very Austen-esque, while the middle was Bronte-esque (a la Jane Eyre), and the last third wrapped up these two disparate tones with an exciting conclusion. The first section of the novel, sets up the world of Altania, and the somewhat bewildering world-building which involves a magical society of magicians, illusionists and witches - some of whom people no longer believe in, but they do actually exist, or they think of them as evil or something. I wasn't sure how all this came to be. The story sets up three separate main characters - Ivy and her family, Mr. Rafferdy, a well to do, insouciant member of the upper class, and his friend, Eldyn, a down on his luck member of the gentry. While they all had their dramas, I felt the story jumped around between them so much, that it was hard to feel invested in their concerns for the most part. Although Ivy and her wish to help her father was the strongest aspect. Joe Trenton turns from boxing to singing, and his erstwhile manager visits him to tell him that even though Joe changed careers, he still owes him a cut of his earnings and he wants it stat. Joe tells him no. In a completely unrelated, but important scene - Joe is at a party and challenges himself to break glass with just his voice. When the inevitable confrontation occurs between him and his manager, Joe is defenseless - except for the glass chandelier that is over the manager's head. This episode is pretty good, although while typing up the synopsis for it, it does sound a bit dubious, because of the coincidences. But it is interesting to 'hear' if Joe can break the chandelier, especially since in the party scene, his friend helps the glass break since Joe's voice wasn't quite doing it. I did make me wonder if a human voice can in fact break glass, and according to Mythbusters it can! Roman St. Clare the Civil War photographer haunted by the slaying of his wife and unborn child. His relentless quest to find their murderer leads him to a remote area on Staten Island, where he must confront and be confronted by his own dark past. 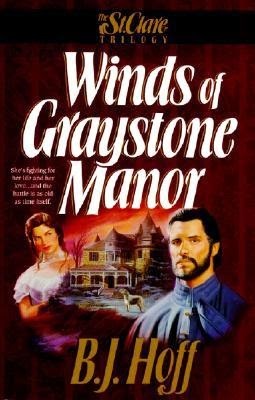 Amanda (Andy) Fairchild the petite, auburn-haired beauty who, as owner of Graystone Manor, a secluded resort hotel, is suspicious of the stranger who has arrived at a time of great mystery and intrigue on the Island. Niles Rutherford a brilliant young physician and Andy's lifelong friend, who, as her self-proclaimed protector, guards her well and, in return, demands more than her loyalty. Caught up in conflicting emotions and danger, these three find themselves ensnared in the age-old battle between Light and Darkness, fighting for their very lives - and their love. I picked up this book because of it's tentatively Jane Eyre-esque plot line and because I was in the mood for some Gothic romance/suspense. The novel switches back and forth from a third-person limited POV of the main characters - mostly Amanda and Roman - which was a little off-putting for me. Mostly because their feelings of insecurity and interest in each other just kept being repeated as both characters had mostly the same thoughts. And the romance itself was ... nice, I guess - mostly predictable, with nothing to really surprise me about how their relationship develops. It is also very slow to develop as well, because the characters take their time in even considering the other interested in them. It was a little too drawn out. The suspense comes from the mystery of a series of disappearances on the island, and what I found surprising in the mystery is how early it's revealed who is behind it. It does help to create more tension, because none of the other characters are suspicious of the culprit, but towards the end of the novel, I felt that the pace of the reveal was too slow, and there was little suspense in it for me, since it was clear how things would go. I feel I am nit-picking a bit in this regard though, as I'm sure there are other readers who would not be so bothered. And I do think the suspense of the story was the highlight of the book. Also the dog was a highlight - I so wish I had a dog as true and loyal as Conor! One aspect that was unexpected was the strong religious leaning of the characters and their feelings. This book could be classed as Christian literature, since their unspecified religion is mentioned a few times. I suppose that accounts for the somewhat grandiose claims in the plot summary of "Light vs. Darkness" when this is more of a straightforward story. There are no paranormal aspects for example which I was almost expecting given the synopsis. This book was absorbing in many ways, but in the end, I felt more disappointed in my hopes for a strong romance and nail-biting suspense. It was just a nice read. Note - this book was marketed as a trilogy, but the author never finished it. Okay, why did I not know that ST:VOY is like Gilligan's Island in space! Although I hope they will get back to the alpha quadrant by the end of the series! And I hope they manage to stay away from the pitfalls of doing a show like this - with a bunch of episodes that present opportunities for the ship to jump light-years ahead, but their plans are always foiled in the end. 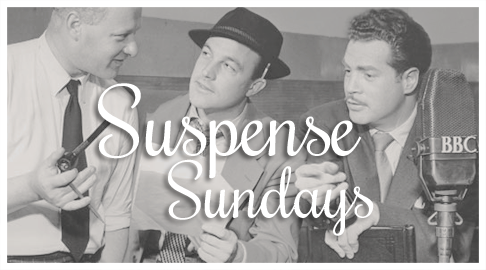 It will get very monotonous, and the suspense will start to peter out. My first impression of this series was Captain Janeway is awesome!! This is when I knew I would love her character - there's a scene in the episode "Time and Again" where Janeway is told she has to do what these terrorists want, or they will shoot a child and, after a moment to think, she steps up to the guard and directly gives away the terrorists. In front of them! Boss. And what a difficult situation to be in! It was a little surprising to see her take the situation that was for the greater good too. But the child was ok of course. I also love that we are back to an adventure an episode kind of format too - this series is noticeably lighter than Deep Space Nine, so now I understand why they had both shows kind of running con-currently. They are such different shows! There's another Vulcan main character! Harry Kim - I just love his character, he's sweet, and a good character for the viewer to connect to vicariously if you wanted to imagine yourself as a member of the crew. The holographic Doctor is the only one who can go into the rogue holodeck and bring back the crew members who have 'disappeared'. 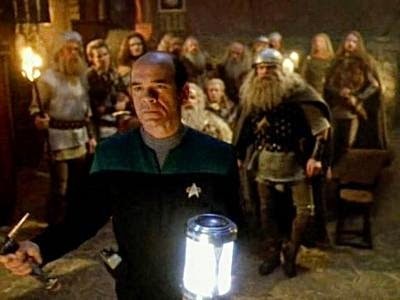 I'm liking this tendency (so far) of Voyager to explore literary stories and this Beowulf take-off was fun to see on a scifi show. And it was fun to see the show play around with the concept of having a main character who is a holo-character and what sort of limitations and ramifications it has. For me, the storyline of the entity that took over the ship was a subordinate to the enjoyment of the elements that made up the story.